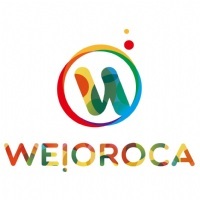 Home / For Visitors / 2019 Exhibitor List / WEI JUN FLUOROCARBON PAINT CO., LTD.
WEI JUN FLUOROCARBON PAINT CO., LTD.
non-toxic, heat resistant , abrasion resistant, and non-stick . colors which can be chosen from an international color code. SUN TRUMP REFRIGERATION INDUSTRY CO., LTD. IDEAL WARPPING INTERNATIONAL CO., LTD.
KBI FOOD MACHINERY CO., LTD.
CHUAN YU ENTERPRISE CO., LTD.
SHIN LEI BUSINESS CO., LTD.